This is the fifth and final installment of eBridge’s ‘eCommerce Marketing Hierarchy of Needs’ blog series. Now at the peak of the pyramid, we’ll be discussing marketing tactics to gain mainstream brand awareness. This includes the type of alluring tactics which draw junior marketers into the profession. When well-executed, a quality tier five campaign can win awards and accolades. But realistically, most brands never reach the point where they’re a legit household name. So while these tactics are fun to think about, you may find more practical advise for your business located in tiers one, two, three, and four which discuss all the prerequisites. When smart phones first came out, it seemed every business was putting out a mobile application. With so much competition for people’s attention on their phones, most company’s apps were under-utilized. But for mainstream brands like ride sharing companies, news outlets, digital media, banks and professional sports, mobile apps are crucial components to their customer experience. The previous tier’s reputation section talked about social media influencers as a way to improve a brand’s reputation at a smaller scale. But if mainstream awareness is the goal, the next iteration is to have a celebrity endorse your product. Many readers will know that eBridge does a lot of work with web hosting companies. In the hosting industry, the most infamous example of celebrity endorsement is when Hulk Hogan was the face of Hostamania. The brand is now defunct, and while I can’t find any public information about its demise, I will speculate that Hostamania may have jumped to tier five of the hierarchy before satisfying the prerequisites on the lower tiers. For most companies’ needs, Google Analytics has more than enough data about their web traffic. But if your company’s need for customer and website data has outgrown Google Analytics’ capabilities, there are other tools available with greater functionality. You can gain better tracking across multiple devices and draw data from many sources to produce more actionable insights. These insights can then be tied into marketing automation campaigns thru lead scoring triggers. Advanced analytics tools tend to be priced at a premium, but are well worth it for companies with large volumes of website traffic. Smaller brands who find themselves competing against big brands in terms of pay-per-click campaigns find it’s very challenging if not impossible to rank for general keywords. 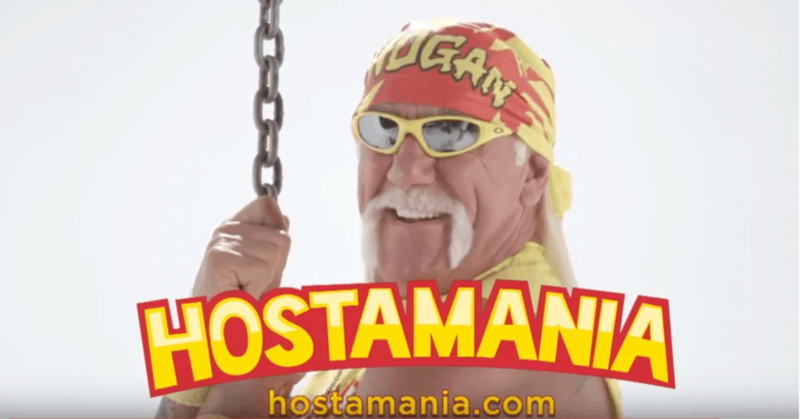 If you are Hulk Hogan, and you want your flagship Hostamania ad to show up in Google search results if someone searches “web hosting”, you better be prepared to pay a ridiculously high cost-per-click, brother. I’m not sure Hulkster could’ve afforded it back in the days before he’d teamed up with Peter Thiel to be honest. Anyway, bidding aggressively on general keywords typically only makes sense for the largest brands seeking mainstream brand awareness, or for new brands backed by VCs. They are essentially aiming to buy market share, because the math is very unlikely to yield a positive R.O.I. on a per-click basis. For brands seeking the spotlight, there is no shortage of opportunities to spend big. Mainstream media campaigns could take the form of TV ads, radio ads, billboards, and more than ever podcast advertising. It’s not uncommon for a popular podcast to require $10k+ to sponsor a single episode. How about sponsoring a sports stadium? Scotiabank paid $800m in 2017 to take over the naming rights of the Air Canada Center, home of the Toronto Maple Leafs and Raptors, an amount for which they could’ve purchased a pro sports franchise outright. Indeed, gaining mainstream brand awareness is a high stakes game. Thanks for reading. 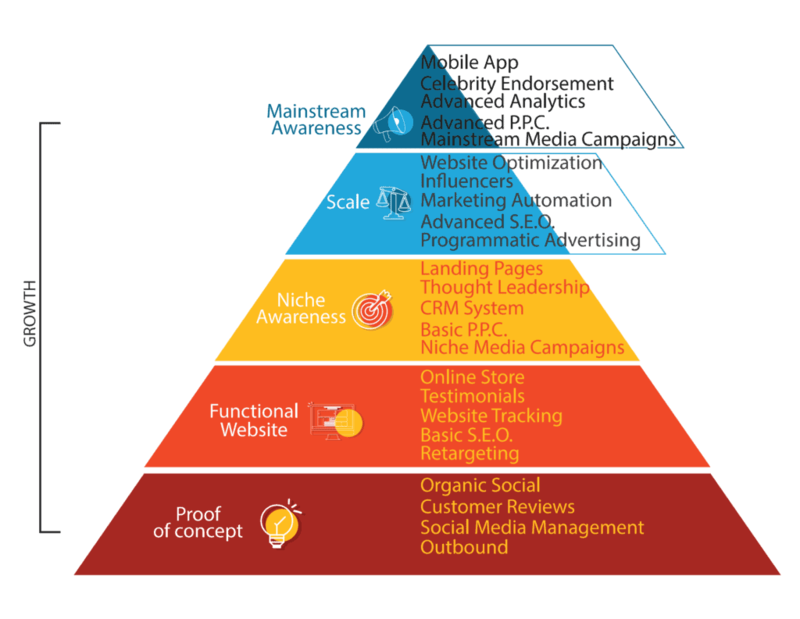 Putting the ‘eCommerce Marketing Hierarchy of Needs‘ together was more challenging than we originally anticipated. It ended up being a useful internal exercise for us though, as we were forced to weight the merits of a variety of marketing tactics in consideration of how they interact with each other and a company’s growth stage. That’s a lot of variables to encapsulate in a single infographic, and while there were surely a million ways we could’ve sliced and diced it, I hope the general framework we’ve put forth will provide some good food for thought for eCommerce companies trying to determine where to allocate their marketing budget. Interested in eBridge’s opinion about which marketing tactics your business specifically should be prioritizing? 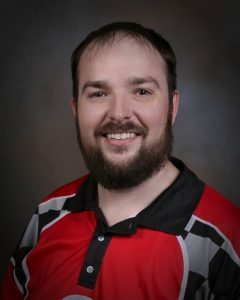 Need help with any of the tactics we’ve discussed in the series? Please don’t hesitate to contact us with questions, comments, or constructive criticism.